If you feel that someone is watching you – don’t worry! This is a cat from your new contact lens case! 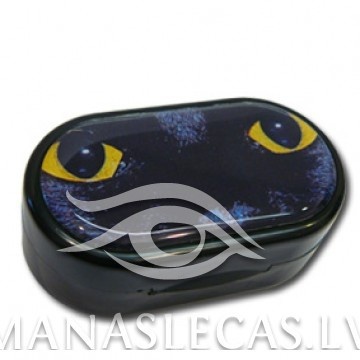 Contact lens case contains a handy mirror and a removable contact lens container.